My name is Liz Qualman and I am really excited to join the Doodlebug team on the blog today to share some ideas for miniature projects. I am a big fan of bright, bold colors and thought the Snips and Snails collection was right up my alley. I don't actually have a baby anymore since my little man is 3 years old now, but I still loved how the collection could be used with little boys. The colors were just right for my outdoor photos. I thought it would be fun to take the elements I would have added to a 12 x 12 layout page and spread them across three 6 x 6 miniature layouts. 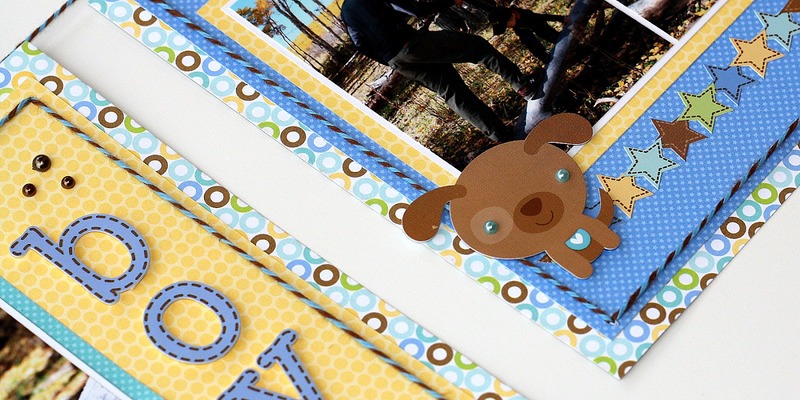 Doodlebug has some adorable patterns that look fantastic as 6 x 6 patterned papers. I also thought it would be fun to display the miniature layouts with tiny clothespins, or they could easily be put into a long, narrow frame that could be changed out in the future. I used the thicker 12 x 12 cardstock paper for the background, but all of the other papers are 6 x 6. 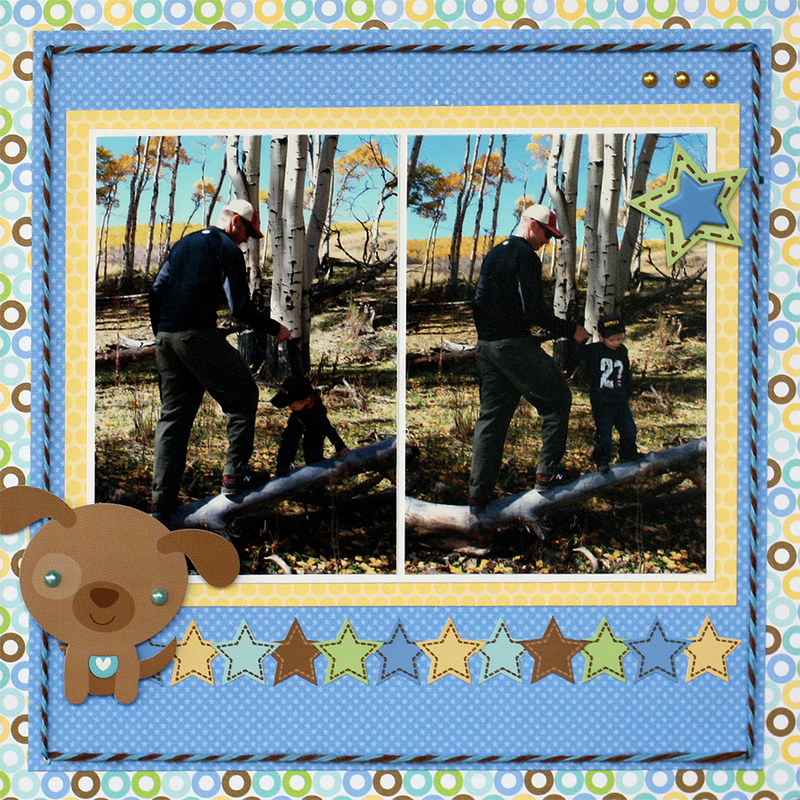 My family visited an aspen grove last fall on our annual autumn jeep trip. My son loves to explore and have fun outside, so I tried to capture this experience across the three pages. The colors of the collection looked fantastic with my photos and the more everyday patterned papers made great backgrounds. I used my typewriter to add the sentiment to the punch out journal card, which I first backed on blue cardstock before I rolled it through so the little notebook paper edges would not be ruined. Twine makes such a nice border on pages and I used it on each page to tie all three together. I added pop dots to the fun cardstock sticker banners on the "So Fun" page. I also added some of the mini pearls, boutique buttons and shaped brads to give the pages a little bit of sparkle and dimension. They were the perfect size to keep with the miniature theme. 1. Visit Liz Qualman's Blog and follow her blog: http://lizqualman.blogspot.com/. Then come back and leave a comment telling us you did this. 2. Post a project you created with Doodlebug's products to our Facebook Wall, then come back and leave a comment here that you did. 3. Post a link on Facebook or Twitter to today's post, then leave a comment you did this. 4. Pin one (or all) of the images to Pinterest, leave a comment that you did. You will have until the Sunday evening to enter. The winner will be announced on Tuesday morning. 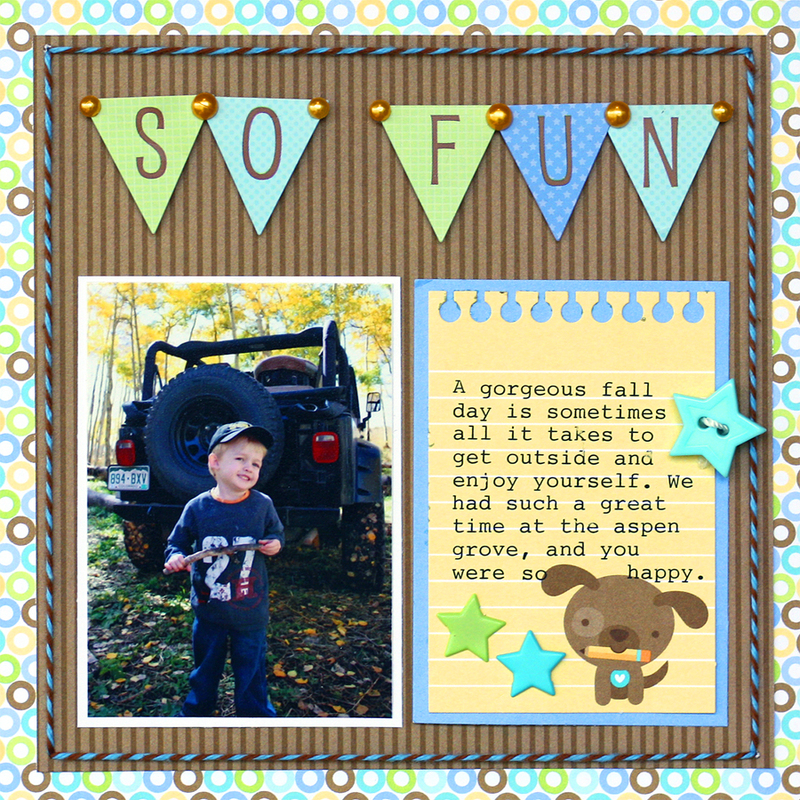 Thank you to Doodlebug for the wonderful inspiration! Love this collection and love what Liz did with it...pinned!!! 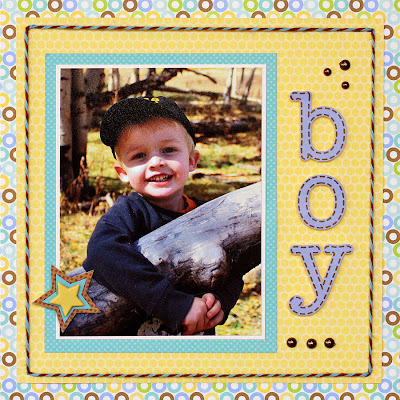 LOVE Liz's mini she made with this (one of my favorite) Doodlebug collections!. I am a follower of Liz's blog. I have a layout I made using the Sweet Cakes collection that I posted on your Facebook Wall a month or so back. liz i always love your work!! great job! gorgeous mini album, some great inspiration there! Follower of Liz's blog and pinned on Pinterest! 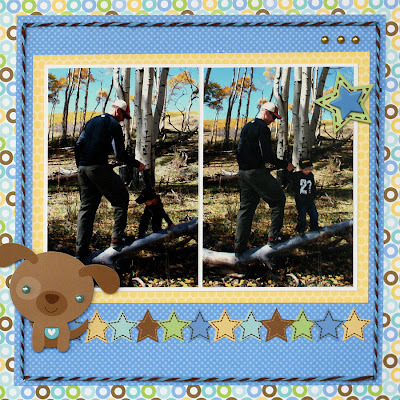 Cute pages: makes me want to scrapbook some of my grandson's pictures in a mini album. I follow Liz's blog and pinned a page on pinterest. wonderful projects! I must try my doodlebug products. I follow Liz's blog, so please enter me. I'd love to win this! Great projects! I am following Liz's blog! When I saw these beautiful layouts, I knew I had to visit Liz Qualman's Blog and follow her. So I did! I'm a new follower of her blog! I have had Liz's blog bookmarked for what seems like ages. I love to look at what she does in papercrafting for inspiration. Today I started following her with google friend connect. 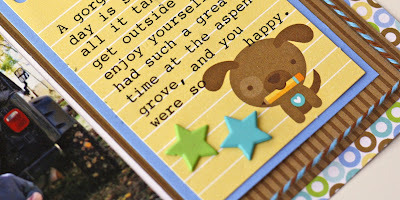 Her miniature layouts are adorable...another one of her projects I want to copy. i follow liz's blog! this project is adorable. I'm already a follower of Liz' blog. Love her mini layouts! I pinned her projects too. I've been following Liz for years and love her style! This project is so stinkin cute!! With a grandson due in just a couple of weeks, I loved seeing this line! I love to see how creative other people are! It totally inspires me to try the ideas I come up with! Liz, your blog is awesome! I already follow Liz. ilove her work! thanks! Just got back from Liz's blog and left her a comment too! I visited Liz Qualman's Blog and her layouts are really cute! already a follower of Liz's blog. I pinned Liz's awesome bammer to my Pinterest board. I'm a big fan of Liz's work...this one is no exception. Beautiful! Fell in love with this project and pinned it before I read that was how you can enter to win. Cannot wait to make it. So happy that you have invited Liz today...she is an amazing crafter. I also am a follower of her blog. I'm a new follower of hers, love her work already! Thanks so much! I shared on fb - Lisa Bankes-Lahiff, thanks again! Love this layout with all the layers and embellishments! I left some love on Liz's blog and am following her on GFC! I am a follower on Liz's blog! I pinned my fave layouts! Amazing mini book! I found this page from Liz's blog (My Little Sketch Blook). I'm following Liz's blog~ cute stuff!! I am a follower of Liz's Blog. Love her work. What cute layouts. Loved the use of the twine and typewriter. I had to pin! I was at Liz's blog and she sent me to you to check out your awesome blog. Just posted a finished layout to Facebook. I used my favorite product - Doodlebug - this years Easter collection! Love it. I also linked on facebook!! I went to Liz's blog and became a follower. Thanks for the chance to win! 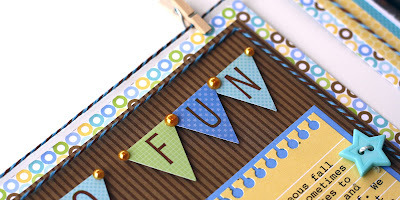 I am now following's Liz's blog and she has some awesome creations on her blog! I have just come over from Liz' blog. I love the new line. Perfect for little boys (Mine is 5 months old!) Would absolutely love to win this! I already follow Liz's blog. Enjoyed the mini pages! Liz is one of my favorite artist's. I have followed her blog for quite awhile and was excited to see her here. Love her style. I follow Liz and love what she shared here today! I'm a follower of Liz!! 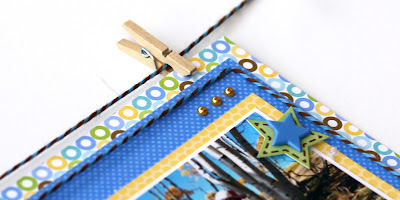 Thanks for sharing these darling mini pages!